Piping Plovers: What are they? While the Piping Plover is labeled as an endangered species in the state of Maine and many other parts of the US, Ogunquit and its surrounding beaches offer an extraordinary chance at taking in the sight of the endangered bird. Marked-off sections of the local beaches protect nesting sites from human foot traffic. The birds are recognizable by their round bodies and short thick neck, with a rather stubby bill. Adult plovers have orange legs, with sand colored bodies and a ring around the neck. Also a distinguishing band across the forehead from eye to eye is a tell-tale feature of the plover. 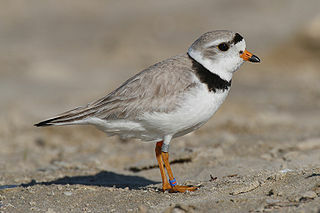 The Piping Plover joined the endangered species list in 1985. Along with the increased development of shore front property, demand for plover feathers for luxury hats has landed the plover on the not so popular list of endangered species. The overall population of the plovers remains low, but the town of Ogunquit and its neighboring beaches still hold a large population of the birds. During your next visit to the Mariner Resort be sure to pay extra close attention to the birds on the beaches as you pass by. You never know what tiny rare bird you might see at your feet! There's no tradition quite like a Fourth of July fireworks display. Lawnchairs and blankets line the grassy viewing area as spectators wait for spellbinding colors, thrilling explosions and intriguing shapes to paint the sky. The event may be magical—especially for the kids—but of course, its all the product of meticulous chemistry and clever ballistics. Modern technology has made it possible to utilize the dark night sky for multishot displays and captivating grand finales. Over 46,000 fireworks are set off within a 30 minute set, and this is for the average firework display. It has been said that a minutes worth of firework blasts takes up to 2 hours of preparation and organization to make it look as brilliant as it often does. This sounds like a lot of work, but luckily for us-- all we have to do is sit back and enjoy it. The town of Ogunquit does a great job every year putting on a wonderful display of fireworks. 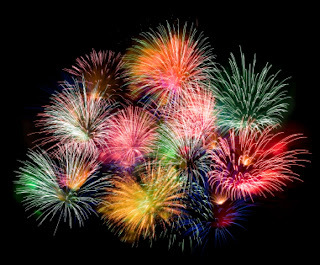 Be sure to plan a stay at the Mariner Resort during the 4th of July festivities. It is just one of the many great celebrations the Town of Ogunquit has to offer.